James B. “Jim” Head graduated from Cumberland School of Law at Samford University in Birmingham, AL. in 1982. He has tried hundreds of cases in both federal and state courts. He has 30 years of experience in the legal system and has also made arguments before the State Supreme Court of Georgia. Jim served as the prosecuting attorney for the city of Ranburne, AL. He has evaluated hundreds of cases for both settlement and trial. He is also registered as a civil mediator/arbitrator in the state of Georgia. Jim graduated from Carrollton High School and the University of Georgia. 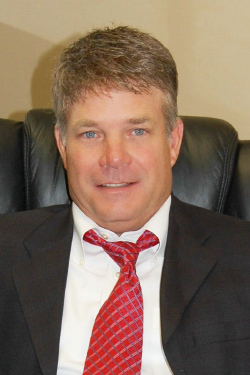 He has served as both president of the Carrollton bar association and the Coweta circuit bar association. Jim is very involved in his local community, and was president of the local chapter of the Jaycee’s. Jim is currently beginning work on an awareness campaign at the University of West Georgia to create awareness about the dangers and consequences associated with drinking and driving.